We Make Writing Your Dissertation Easy! Yes, we can get you to finish your Dissertation— within months! This Seminar will show you how to write your dissertation methods, also know as the “methodology”. This includes a detailed description of your research plans for collecting and analyzing the data needed to complete the doctoral dissertation. As a result, we will cover all the information needed to complete a draft of Chapter Three of the dissertation. This chapter is also usually referred to as the “Methodology” Chapter of the dissertation. By the end of this Seminar, you will describe the selection of participants. In addition, you will describe instrumentation plans, data collection and data analysis. 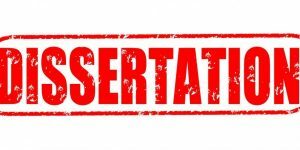 Finally, you will a draft of Chapter Three (dissertation methods) that clearly defines how you will conduct the study. Our dissertation seminar leaders will help you help you through those steps. Accordingly, it will provide a framework you will use to seek answers to research questions or test the research hypotheses. This Seminar consists of seven convenient Modules. Each Module comes in video and audio to help you make the most of your learning experience. In addition, you have access to the Seminar Leaders who will give you active and value filled feedback on each section of the dissertation.